Today, October 31st, is the Reformation Day. 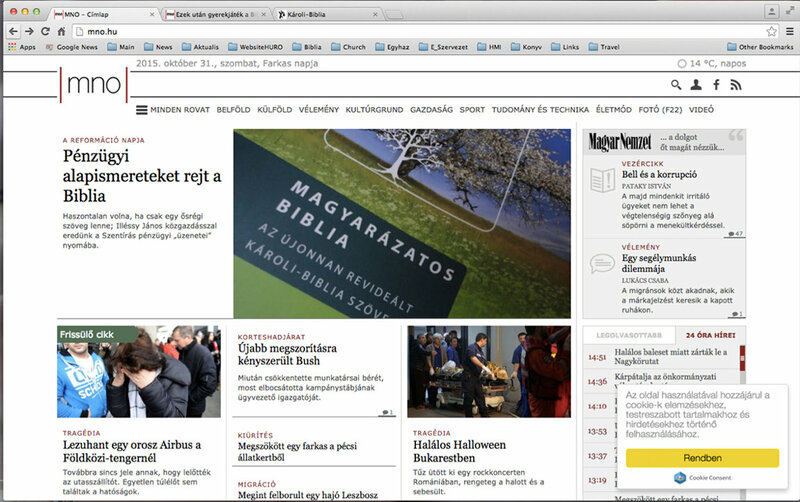 On this occasion the second largest daily newspaper in Hungary wrote a long article about our new Bible edition (the Hungarian edition of the NIV Student Bible with the notes by Philip Yancey and Tim Stafford). Instead of interviewing a bishop or a theologian, they chose to introduce our Bible edition to the public. As we remember the 25th anniversary of HMI in this month, I thought it would be appropriate to share this good news with you. We met the author of this letter recently and we offered to help him produce the Roma version of the Hope film in two new languages: the Lovari and the urban (spoken) Roma. A few years ago, we produced the Hungarian version and at this time we would like to reach the Roma in Hungary and also in the surrounding countries, like in Slovakia, Ukraine, Romania and Serbia. You can pray for this film project, it will affect more than a million people. In the next few months, I will be busy traveling around the country and beyond, meeting with the various participants of this project. I already met several of them and everybody is excited about this new outreach. “We cannot give faith to the people, but we can give them the Bible in an understandable form, which can create faith in their hearts. Although the commentaries were written not by theologians, we should not forget the Bible was not written by professional theologians either” – emphasized a Lutheran theologian. Someone called our attention to the fact that this Bible edition helps to undo preconceived ideas about the God of the Bible. It sheds new light to neglected and misunderstood old stories and opens the way to a new understanding of God’s Word. As you can see from the above excerpts, God continues to perform miracles by feeding the multitudes through His Word by the power of the Holy Spirit and through your continued prayers and support. The last two months were filled with some memorable events that I want to share with you. In September, I spent some days in Transylvania, where I had the privilege of speaking on several occasions. Interestingly enough, the largest Hungarian Baptist church is not in Hungary itself but in Romania, actually in my town of birth, Nagyvarad, that you can find on your map by its Romanian name, Oradea. I spent there eight months during the time when we worked on the revision of the Hungarian Karoli Bible and from time to time I am glad to go back to see my dear friends there and have fellowship with them and preach in their churches. These trips are very precious to me including the most recent one in last September. One of my dearest friends there is an 89 year old pastor who recently published a book and I had the privilege to write a preface to it. The time that I am spending there seems to flow very quickly as we go from one meeting to the other and in between we exchange our thoughts and share our experiences. Doing all these in Hungary is one thing but going to my birthplace of Transylvania, where my ancestors are coming from is always a unique experience. According to legend, 72 people translated the Septuagint, the Greek translation of the Hebrew Bible, in 72 days in the 3rd BC Century. Based on an eight-hour workday – this is 41,472 hours. We do not have specific data as to how many hours the translators, theologians and scholars had to work on the recently published, modern-looking and very appealing revised Karoli-Bible, but one thing is certain: the comparative Bible text analysis alone – one of the shortest work phases - took eight people, eight hours a day, for eight months (ie. about ten thousand hours of work - - weekends and holidays excluded). And that was far from the end of the process. We are asking Joseph Baranyi, head of the Bible revision process, about this not-so-ordinary translation project. Tell us when and how the idea took shape in you that by revising the Karoli Bible translation you would give a modern Bible into the hands of Hungarian readers? I too belonged among those who while reading the Karoli Bible, automatically modified in their minds the archaic verb forms. But for a long time, I did not think that this needed to be recorded in print. To me, it seemed much more important to create a Concordance to the Karoli Bible. I found it very painful that for a more serious study of the Bible, the Hungarian Bible reader was forced to always use foreign language concordances. Finally, after many years of hard work, I completed a Concordance, which was published in 1995. Along with the Concordance, I now had the entire Bible text in my hand, recorded in the computer, which, one could say, prompted the possibility to modify the written text. While as far as the preparation of the Concordance was concerned, my person alone proved to be adequate, I was aware that the revision work required a highly trained group of professionals who shared my view of modernizing the archaic texts’ value. Nevertheless, before we would have touched the text of the Bible itself, I intended to publish another important biblical reference book: the Hungarian edition of the NIV Study Bible, to which, of course, we used the Karoli Bible as a basis. I thought that the Karoli Bible, which has over the centuries become the “book of the people”, deserves the right to be combined with the world 's most popular Study Bible edition. 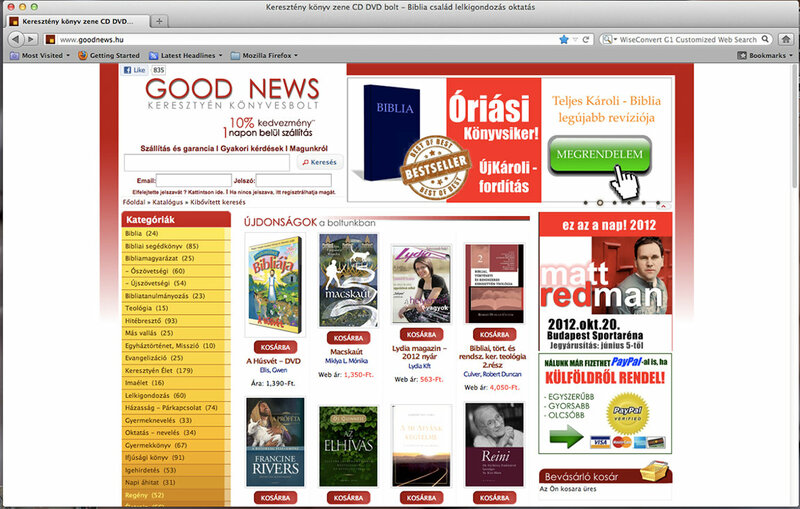 The Hungarian edition of the NIV Study Bible was the work of 26 renowned theologians, linguists and literary scholars. It was published in 2001 and paved the way before us to the ultimate goal: the revision work. How did the revision process work out? Who were the assistants on the job? The revision work took more than ten years, had countless stages and required the participation of 27 specialists. Theologians, university professors, linguists, pastors, scholars of the biblical ​​and the Hungarian languages lined up along with many other professionals to create the long overdue work, an easy-to-read Karoli Bible, which had been anticipated by the readership of the Bible for decades. A modern Hungarian translation of the Bible already existed, but the familiar language of the centuries-proven Karoli Bible is still the preferred choice for most people. When writers and poets want to quote from the Bible, they always use the Karoli Bible text. In the first phase of our work, someone prepared the so-called main text, which was compared verse by verse with the earlier versions in the second phase. This comparative analysis was completed by 8 people for 8 months, in 8 hours a day 's work. In the next phase, these texts went into the hands of literary, linguistic and theological scholars who worked on it for several years. This phase was the longest session. It was followed by the final proofreading-editing, a process which also took several years. We later publicized the list of participants in the work. The New Testament part of the revision was published in 2007, and we were able to present the entire Bible to the public in 2011. Today, there are 23,000 entire Bibles and nearly 7,000 New Testaments in circulation. In looking back, can you recollect some of the moments in the preparation process which have become particularly memorable? I once again began to regret that I was afraid of the revision work back in 1995, partly due to the magnitude of the task, partly due to the difficulties it entailed, as it required Hebrew and Greek knowledge to find the correct and best formulation, but still I was tempted to take this [revision] work and finish it. Then the phone rang in the next room, along our quiet little Windmill Street, my birthplace; and “Joseph Baranyi” said a voice at the other end of the line, and the caller would have started to introduce himself with reference to His Concordance to the Karoli Bible. However, I happily cut him off, and almost jubilantly informing him that I had just the other day written his name, that his Concordance was by my side, and that I just been mentioning in my article for the Reformed Journal that it was right that he relied on the text of the most popular [Karoli 1905-1908] revision and did not go back to the outdated original. Did you meet any resistance? If so, what type of criticism did the project have to face? Perhaps there is no scientific work that does not meet with opposition or criticism. It was so in our case as well. While some considered the matter closed with the 1908 edition of the Karoli Bible, others, following the footsteps of predecessors and keeping international precedents in mind, wanted to carry on the Bible text emblazoned by the name of Karoli, but in a modernized form. If the German Luther Bible could be revised in 1964, and the English Authorized King James version could be modernized in 1975, then we Hungarians should also address the legitimate claim of desiring to have a readable, modern version of the Karoli Bible. That is why Szenci Molnár Albert revised the text of the first Karoli edition (the Bible of Vizsoly), continued by the pastors of Nagyvarad thirty years later. For this reason, Komaromi Csipkés Gyorgy (my ancestor) touched the text of the Karoli Bible in 1685, and later on M. Totfalusi Kis Miklos, and the editors of the 1908 edition. 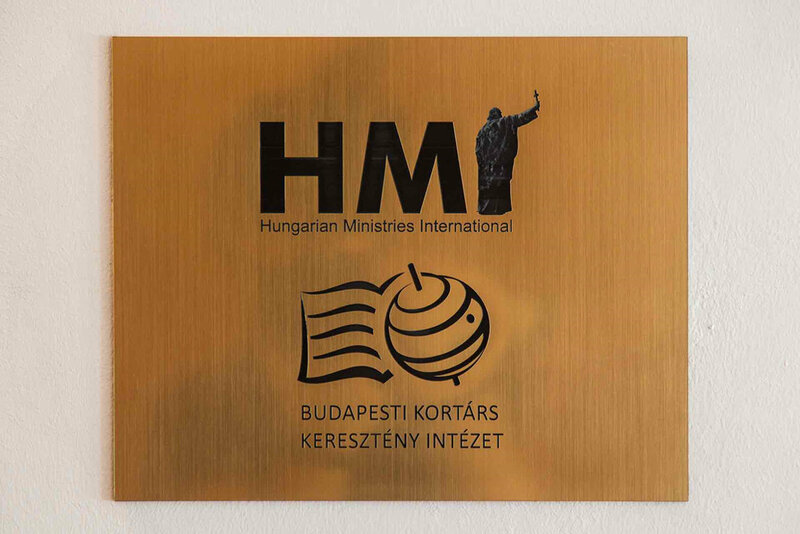 As the Protestant Media Foundation President and caretaker of the revisions, I expressed several times that we do not have to revise the Karoli Bible for the purpose of saving Karoli’s name from sinking into oblivion, but rather to keep the monumental effect that the Karoli Bible translation has had on the Hungarian nation alive. Professionally, that is from a theological, linguistic, and literary point of view, there has been no real criticism to my knowledge regarding our Bible edition, and in April of this year there was a two-day Bible conference hosted by the Karoli Gaspar Reformed University where we were also represented. What feedback have you received in connection with the translation? Naturally, we receive a lot of positive feedback, in which the recurring refrain is that the Karoli Bible characteristics have been preserved and yet we were able to produce an easy to read text. In the most recently published school textbooks, the Bible quotations are coming from our revised Karoli Bible, and we get more and more feedback from other publishing houses that quotations from the Bible are also coming from our edition. Our revised Karoli edition has also appeared in various smart-phone applications and in the world of modern electronic devices we seems to have a winning position against other Bible translations. What do you think, how much can be attributed to the outside appearance and how much to the inside content in the new edition's popularity? For my part, I am very happy that I do not have to fight alone like Don Quixote, but rather that I have a young, talented staff beside me who have embraced my cause and carry it on, supplementing the things that were missing in me. Thomas Gyori, Lutheran pastor, is one of the people to whom I am indebted for his hand in beautifying the outside appearance of the revised Karoli Bible. The article was written by Petra Szucs in a Hungarian Lutheran Newspaper on September 22, 2013. Another interesting news: For quite a while, we were looking for someone who would be the best orator to read our Bible version and create a Voice-Bible. Finally, we decided to approach one of the best newsreaders at the Hungarian National Television, who has a wonderful voice. When we contacted him he gladly accepted our offer and shared with us that this was a long-standing desire of his to accomplish, and just a week before we approached him he already contacted a studio to investigate such a possibility. Some would say: what a coincidence, but we praise the Lord for His planning. We already made a contract with a studio for recording. Please pray that we might be able to finish the New Testament within a half a year and start the Old Testament before next summer. 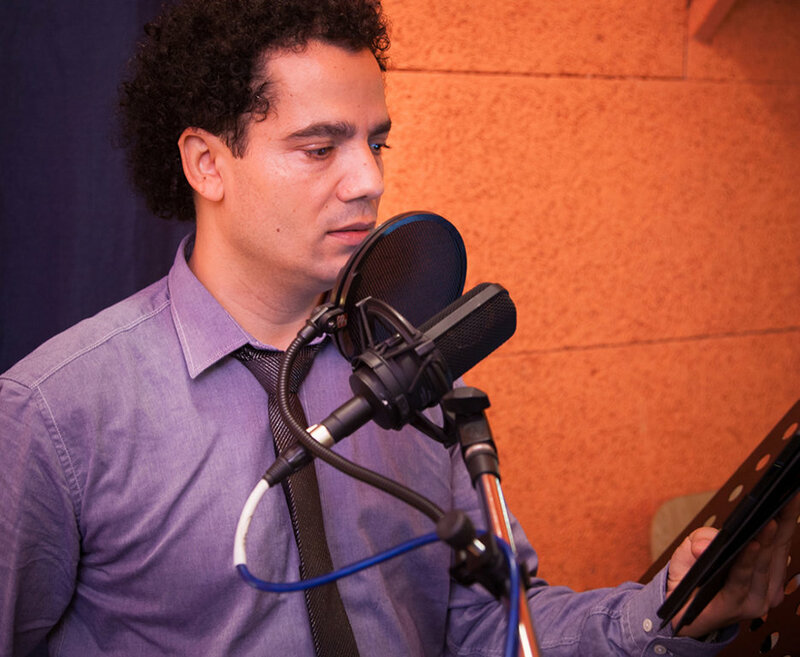 Thirty years ago, I recorded the New Testament for blind people, and I know what a huge job it was to accomplish it. In May we have had another campaign popularizing our Bible, along with several dozen newspaper and Internet news articles, we had the opportunity to appear on national television and other major television and radio stations. One of the results of this campaign was that now the largest supermarket chain in the country is also distributing our Bible. Another sign of the popularity of our Bible is that since last year, Hungarian public schools have begun using our Bible edition in their schoolbooks when quoting the Bible. Page after page from the Old and New Testaments are quoted from our newly revised Karoli Bible. In April, the Karoli Gaspar Reformed University organized a two-day Bible Conference in Budapest, where our Bible edition was well represented and introduced to the scientific and laymen public. In my last info I shared with you the exciting news that one of the major newspapers in Hungary published a report about our Bible on the front page. Telling you the truth, at the time I did not expect that in the next two to three weeks, more than 300 media appearances will follow this first article. Yes, our media campaign was a complete success. Several major television stations and quite a few radio stations broadcast 10-15 minute interviews and informative discussions with us about the new Bible, presenting our colorful edition to the public in a very appealing way. All the major newspapers wrote one or two articles, heralding the great news that after more than 100 years the Karoli Bible has been redone and finally has a readable, easily understandable language. They especially appreciated the fact that this new edition is available on the Android phones and soon will be accessible on the iPhone as well. Our desire to reach the younger generation with our colorful edition was noticed and well appreciated. But most of the publications appeared on the Internet, due to the undeniable fact that in our age the Internet is the leading form of mass communication. Even those websites that are not particularly interested in religious matters spoke highly about our noble desire to rejuvenate this old piece of literature and present it in a modern form. One can read in the April 2, 2012 edition of a major daily newspaper in Hungary the title KAROLI RELOADED next to the picture of the President of Hungary, who unfortunately resigned today. That was the bad news of the day. But the good news is that the KAROLI RELOADED subtitled “After this it would be child play to understand the Bible”. This is a very positive front-page article about our recently published Bible edition, which get special attention in this Holy Week.